Equity is more than simply the difference between the dollar value of property and the debt on that property. It also the “benefit” of the property. How someone views their equity can change with their personal circumstances, including factors unrelated to the property itself. It can be said that equity is the totality of benefits that are experienced by the property owner. 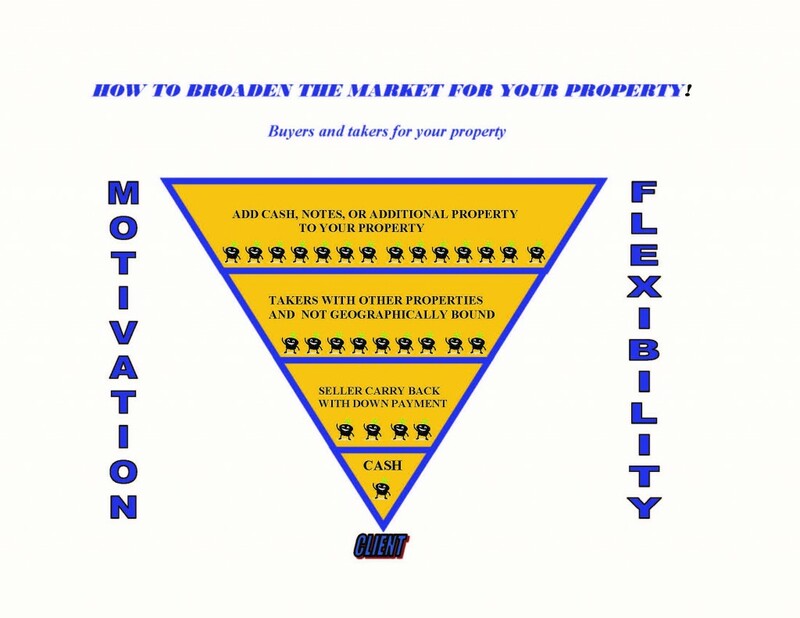 “Equity marketing” is the art of improving a client’s personal situation by exchanging current property ownership benefits for an improved set of benefits to be realized from the process. 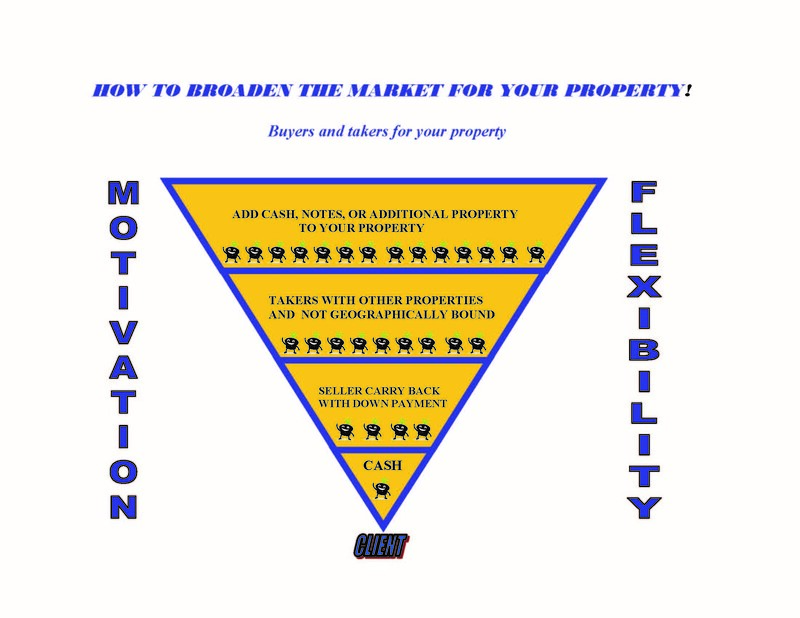 Kentucky Real Estate Exchangors - KREE ©2019 Evergreen Management Group, Inc.